For a very long time now, different businesses have been promoting and selling products and services using a variety of ways so that their business can get known and at the same time earn profit from these promotions. Marketing has evolved through the ages and each development brings fresh and new ideas on how business can attract more people from buying their products and using their services. You may also see project presentations. 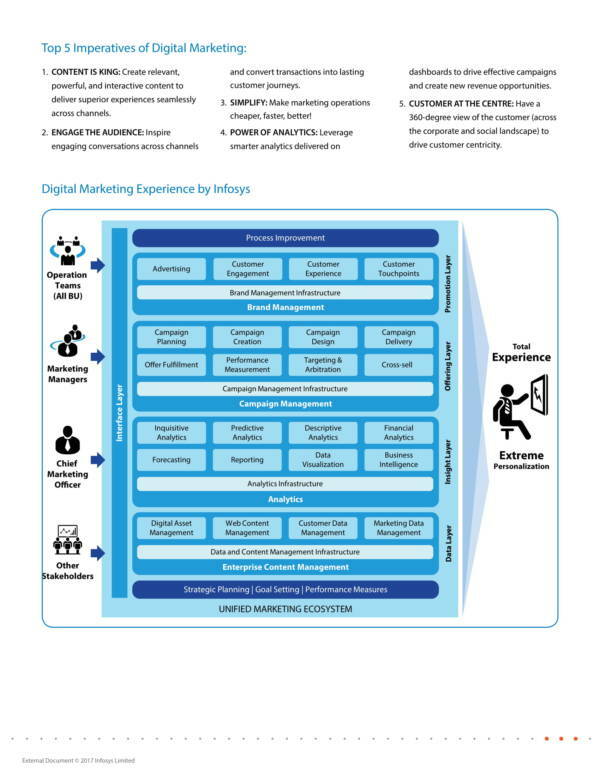 Now, marketing is not complete without including digital marketing in a marketing plan of a business. Digital marketing is just a trend that continues to rise to popularity and are attracting more consumers than any business can imagine. With the emergence of the media and social networking sites, the demand for digital marketing has increased and it has nowi become one of the main methods of marketing and advertising used in almost any business. Perhaps the very first step that marked the evolution of old-school marketing into digital marketing was early in 1971. This wasn’t really the actual date when digital marketing came to existence, but it paved the way to make it possible. During this year, a man called Ray Tomlinson sent the very first email and made history. Technology was still very limited at that time, thus this was the very step that made digital marketing possible. You may also see presentation skills ppt templates download for free. The term Digital Marketing was first coined in the 1990s, which also marked the year when it was officially introduced to the world, although it has been around since the 1980s when computers were capable of storing huge amount of customer information. 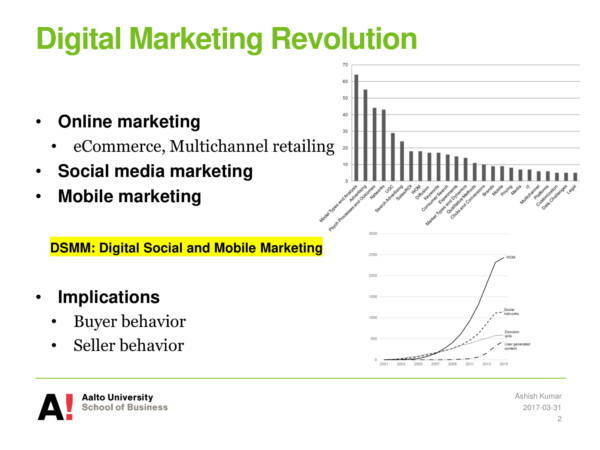 Digital marketing further developed around the year 2000 and 2010. This is because more and more gadgets and devices were created and introduced to the world that makes it possible for consumers to access digital media anytime and anywhere. It was also in the 2000s that social media platforms like Facebook, Twitter, and YouTube were created. Fast track to the present, digital marketing has rapidly gained popularity worldwide. Different countries also use different terminologies for it, like online marketing in the US and Web marketing in Italy. It is still rising to popularity up to this day and more are expected of it in the future. The future of businesses is bright with digital marketing. You may also like sample business presentations. 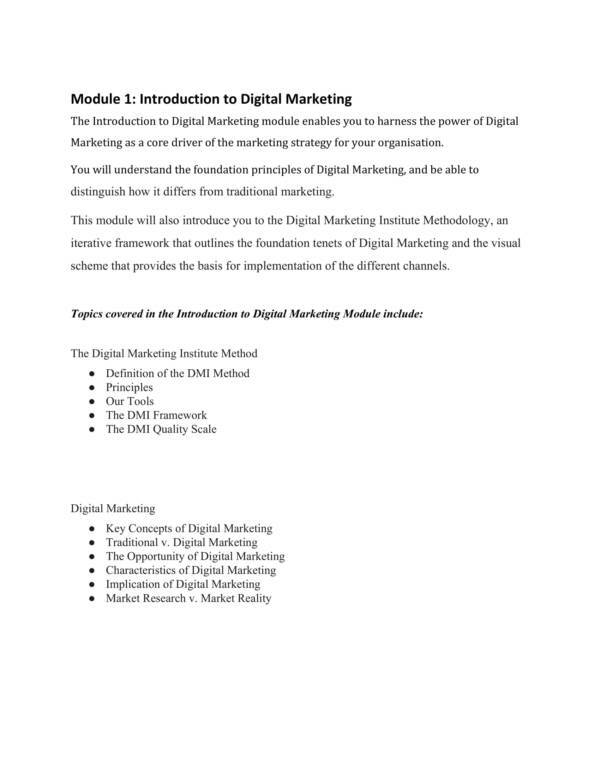 What Are Digital Marketing Presentation? If there is one thing that business reports and business proposals have in common, then that is they are shared or presented with the use of presentations. Digital marketing is also no exception because in order for the marketing plan to be discussed and presented to either the clients of a digital marketing business or to the management of a certain business, a digital marketing presentation is needed. 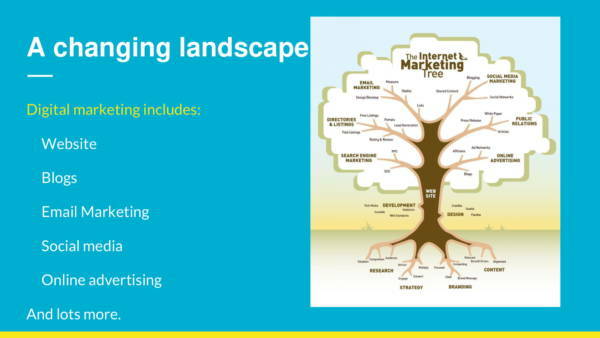 A digital marketing presentation could be a presentation created through the use of different media applications, like PowerPoint, to show to a group of people the marketing plans and marketing strategies that can best help a business or brand to become known to prospective customers and gain a lot of customers. 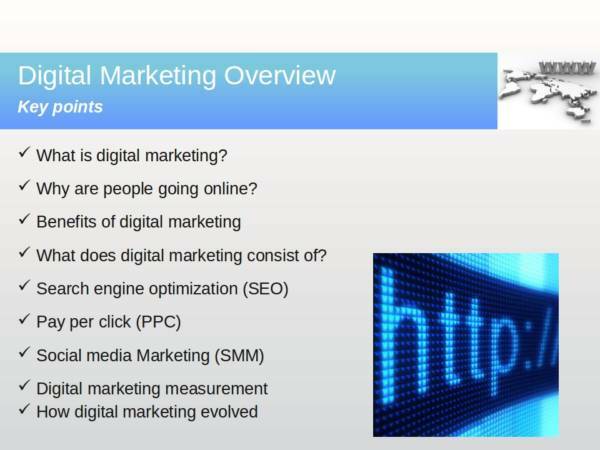 There are many uses of a digital marketing presentation and they are listed below. Digital marketing presentations are used to explain how digital marketing can help a certain business boost their visibility online by showing them the different digital marketing strategies that are applicable to their business’s products and services. You may also see sample presentation evaluations. Digital marketing presentations are used to make it easier to explain different and new marketing strategies with the use of a visual aid. Digital marketing presentations are effective ways to help business understand why it is important and how they can benefit from its use. Digital marketing presentations are used to show digital marketing plans and digital marketing strategies that are on trend for a particular period of time. You may also like presentation speech example templates. Digital marketing presentations provide the needed information that an individual or entity needs to know about digital marketing. Because a lot of people are visual learners, which means they learn faster through visual representations and images, digital marketing presentations are sure to work effectively for all kinds of audience, especially the target audience of the presentation. You may also check out sample presentation feedback forms. Digital marketing presentations help make businesses realize how easy and cost-effective it is to use digital marketing compared to the traditional marketing strategy that are overly expensive or costly. If you have a business and are looking into the possibility of marketing your products or services without having to spend a lot, then digital marketing may just be the thing that you have been looking for. 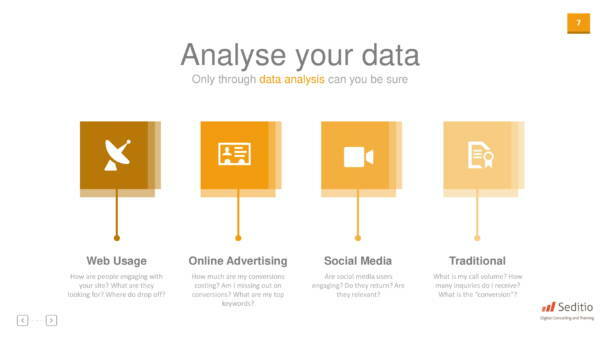 Digital marketing presentations will make it easy for you to understand the things you need to do to be able to market your products and services online. You might be interested in sample presentation templates to download. A digital marketing presentation consists of different parts and they are just like what you see on any other presentations. 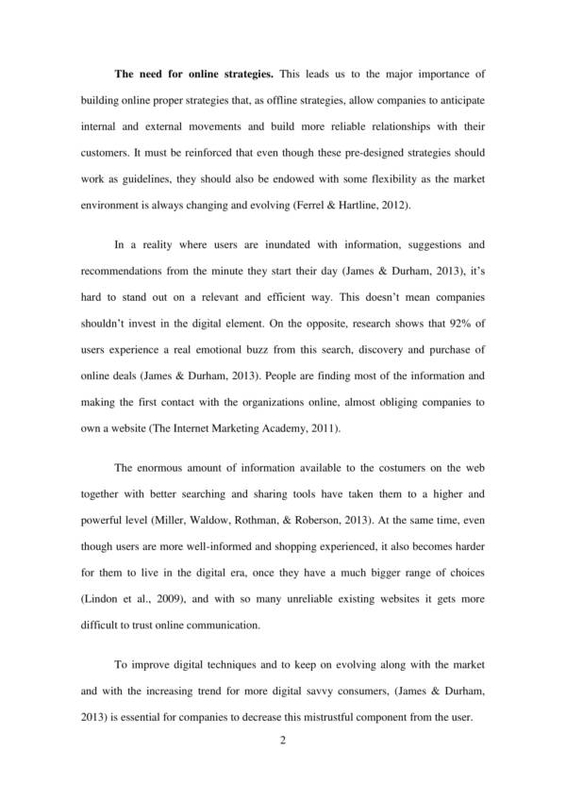 It consists of a title page, the introduction and overview, the body of the presentation, and the conclusion. You may also see presentation outline templates. The very first thing that you would want your target audience to see in your presentation is its title page. It is because even if you have already said what your presentation is about, some might still not be able to hear it or might not really understand it. This is where you tell your audience or give your target audience a sneak peak of what the whole presentation is all about. It is believed to be one of the most important parts of a presentation. Some would start it with the definition of the main topic, others would ask questions that would then lead to the discussion of the topic, and so on. There are different methods that one can use to introduce the topic of their presentation. You may also like sample presentation evaluation forms in doc. The body of a presentation is basically where all the discussion about the topic is pooled, from its uses, types, importance, down to its benefits and advantages. It can be compared to that of a body of a letter that is a part of a formal letter or informal letter. This part of your presentation is a summary of what you have discussed. It emphasizes the important points of the presentation that you want your target audience to remember. It should be clear and concise and should not be as lengthy as what you have stated in the body of your discussion. Since this is also the ending of your presentation, you may finish it with a quote related to the topic or use a catchy phrase. This will leave a good impression to your audience. You may also check out sample powerpoint presentations. Different types of businesses require different types of digital marketing plans and strategies that are appropriate for what the business is selling or what the business offers. There is no one style of digital marketing that is fit or appropriate for all business, and this is primarily the reason why there are different types of digital marketing strategies that are made available to us. 1. Search Engine Optimization (SEO) – This is currently the most well-known digital marketing strategy in the present. 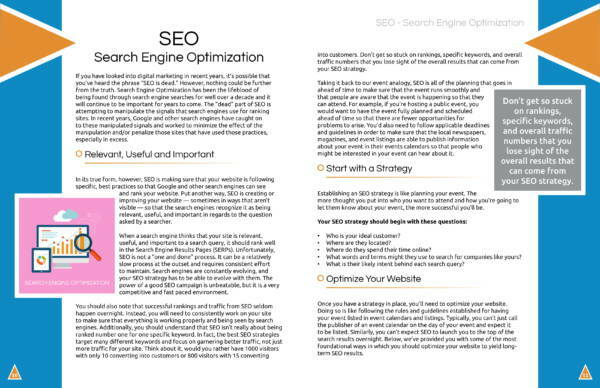 What an SEO plan does is it increases the traffic coming from search engines. The main goal of search engine optimization is to help business websites rank higher in Google searches. 2. Pay Per Click Advertising (PPC) – Just like SEOs, pay per click advertisements also help in increasing the traffic to various search engines. They are identified as those sponsored ads that you commonly see on any website. 3. Public Relations (PR) – It helps your business get more exposure so that it can become well-known at the right places and at the right times. 4. Social Media Marketing – This is the type of digital marketing that helps you create a good relationship with your customers. It also helps you gain exposure and at the same time be able to connect with your customers. 5. Content Marketing – Content marketing is considered as the best type of digital marketing because it combines all the other types of digital marketing styles in one. If you use this style of digital marketing, you are sure to be very successful with your business. 6. Affiliate Marketing – In affiliate marketing, you let other people do the marketing for you. With this style you just wait for them to make a sale and then you will have to share with the the profits for that sale. 7. Viral Marketing – We have seen a lot of viral videos and stuff online that became popular overnight. Viral marketing can help your business become a success in just a very short period of time. You may also see sample presentation evaluation forms in pdf. 8. Influencer Marketing – This type of digital marketing works by hiring or partnering with a famous personalities on TV and the Internet who already have people following them. The followers of these personalities will be influenced by this person and thus use the products or services they market. These digital marketing styles will surely help your business become known by giving you exposure online and gathering more customers for you. You just need to choose wisely which style best fits your business needs. To learn more about marketing, feel free to visit our website where you can find helpful marketing topics like marketing writing samples and templates, marketing proposal samples and templates, and telemarketing tips. Another thing that you need to learn about digital marketing presentations are the trends used to make one truly effective and easy to comprehend. These digital marketing trends are interactive content, visual content, live video, and expiring content. Interactive content can be those you see as polls or quizzes that you see online, especially those in social networking sites. You can have this set before your presentation starts or after your presentation so that you can have an idea on what your target audience wants or how they react to it. You might also be interested in keynote presentations. This trend involves the use of infographics, photography filters, and the likes. This trend is effective when you want to relay information fast. This is because the human brain is believed to understand things better and faster through visuals. You might want to check out project presentations. Popular examples of expiring content are the stories posted on Instagram or your friend’s My Day on Facebook. These contents have a time limit which is usually 24 hours. After the time limit, they disappear and they won’t show on your app again. If you use this on your digital marketing presentation, you would have your target audience wait for what you would present next. Instead of using still images and the usual PowerPoint presentations, it is even more effective to present your presentation with the use of videos. The way digital marketing is done may be seen as a never-ending evolution as it keeps on upgrading and changing every time a new technology is created. We have more marketing topics in store for you on our website. 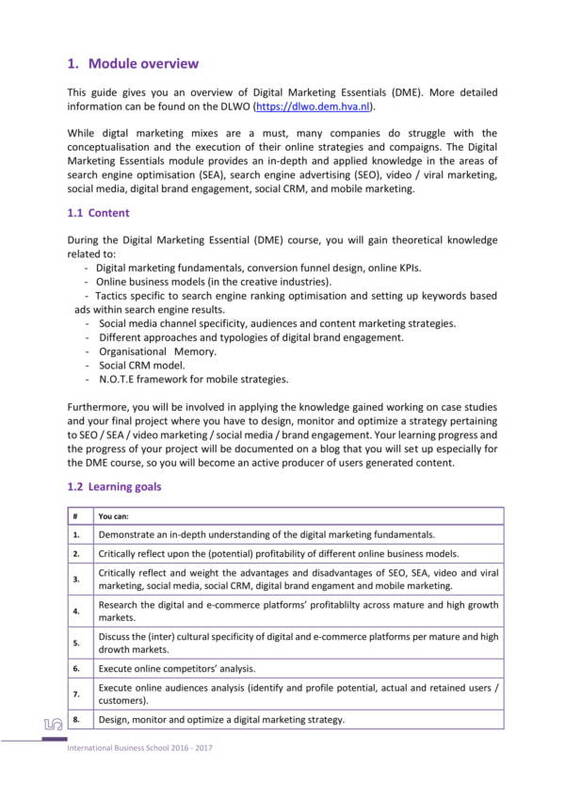 To name a few are marketing campaign evaluations samples and templates, advanced content marketing guidelines, and marketing strategies checklist samples and templates.